Whenever I want to bake cookies using my various cookie cutters, I always turn to the recipes that have withstood the test of time and have given me excellent results. Sugar cookie or chocolate cookie doughs are always baked for many special celebrations at my house, but I also love making shortbread cutouts and spicy gingerbread dough if the season is right. It's nice, however, to stumble upon a new recipe in which the cookie dough rolls out & cuts beautifully, while baking to perfection and tasting good all at the same time. This recipe for Brown Sugar Cookies is a variation on one I've shown you before and I have to say that it's my new favorite roll out cookie dough. 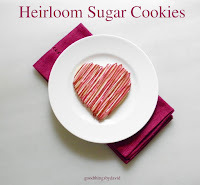 Using brown sugar and pure honey as sweeteners produces a cookie that is quite tender and delicate in texture, yet is sturdy enough to decorate any number of ways. 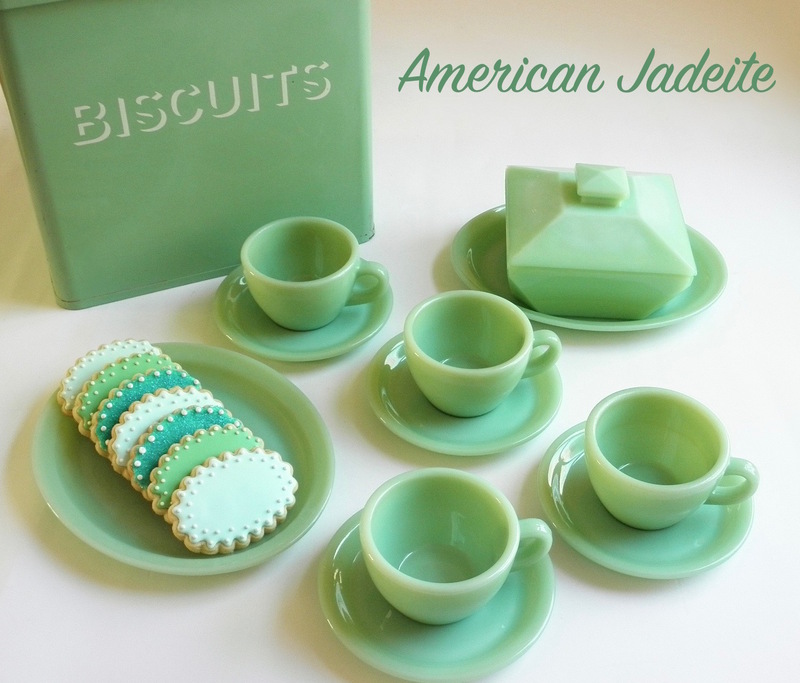 The cookies are a perfect canvas for royal icing, sanding sugars, dragées or even non-pareils to make one-of-a-kind creations for your next special occasion. Perhaps you want to mark a birthday, holiday, anniversary or wedding with a few or even dozens of cookies for favors this year. My advice to you would be to take out those special cookie cutters you've always wanted to use and make this brown sugar cookie. Let's begin! Brown Sugar Cookies cut into egg shapes. Yield: Approximately 4 1/2 dozen 3" cookies. In a large bowl, sift the all-purpose flour, baking powder and fine sea salt; set aside and keep it ready. In the bowl of a stand mixer fitted with a paddle attachment, cream the butter for one minute on medium speed, until malleable and creamy. Stop the machine and scrape down your bowl & paddle. Add the light brown sugar & honey; cream the mixture on medium speed for 2-3 minutes until light & fluffy. Add the room temperature eggs one at a time, beating for 1 minute each on medium speed, or until they're completely emulsified. Make sure you stop the mixer and scrape down your bowl at least once or twice during this process to ensure proper mixing. Now add the pure vanilla extract and mix until combined. Turn the mixer speed to low and slowly add the dry ingredients. Mix until the dough comes together (you may find it attaching itself to the paddle in one big mass). Divide the dough in two between overlapping pieces of plastic wrap (this gives you double-width plastic wrap) and shape into discs, wrapping well. At this point the dough needs to chill for 2 hours in the refrigerator, but can be kept there for up to one day before baking. If you want to freeze the dough for up to one month, place the well-covered discs in a resealable freezer bag (taking out all the air) and freeze them flat. Note: to thaw frozen cookie dough, place the wrapped doughs in the refrigerator the day before baking. Remove the cookie dough from the refrigerator and let it sit on the counter for 10 minutes. Line several cookie sheets with parchment or silpats. On a lightly floured surface roll out the cookie dough using the same double-width plastic wrap on top of the dough. I prefer rolling out cookie dough this way because this reduces the amount of flour one uses (adding too much flour can toughen cookies). The whole while you're rolling the dough, make sure it can be moved and is not sticking to the surface. If it is, release it with a large metal spatula and sprinkle a bit more flour underneath it. Continue rolling out the dough until it is 1/8" in thickness. Cut out the cookies using whatever cookie cutter you wish; yields will depend on the size of cutters used. To make it easy to release the dough from the cookie cutters, have a small bowl of flour in which to dip the cutter between each cut. If you're using large cookie cutters (like my oversized collectible cutters from Martha by Mail), use a plate with flour. Any scraps can be gathered and rerolled once more. Place the cut out shapes on the prepared cookie sheets, spacing 1" apart. These cookies do not spread. Place them in the preheated oven and bake for approximately 10-12 minutes. The cookies will get a light golden color. Don't over bake them! Let them cool on the baking sheets for one minute before transferring them onto cooling racks to cool completely. They can be baked up to 5 days before your celebration if kept in airtight containers. 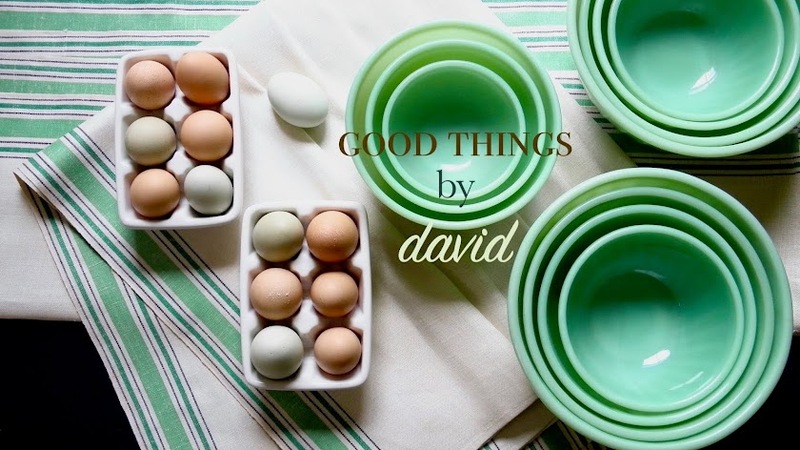 The egg shapes (above) were made for a special Easter treat box. You'll immediately notice how smooth the cookies bake and how well they retain their shape. A set of monogrammed 'A' cookies were made for my niece, Audrey, on her 3rd birthday. She loved them! I will be turning to this recipe in the near future, because I know it's going to give me consistent results and because it passed the scrutiny of one of my most discrimating critics! The cookies themselves aren't too sweet, as you can see from the ingredients list; they don't contain too much sugar. When you pair the recipe with royal icing or with sanding sugars, it creates a nice balance of sweetness that isn't cloying. I do hope once you attempt this recipe once or twice, you bookmark it for the future. Enjoy creating! Can I freeze these after decorating?